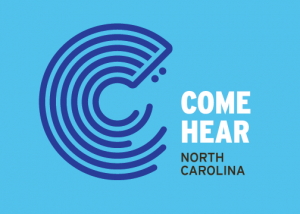 Where in North Carolina do the best singers and songwriters call home? On April 11th, join us on the porch for a singer/songwriter showdown between North Carolina’s neighboring tri-city regions. Here to show us how they do it in the Triad will be Sam Frazier and Laurelyn Dossett. Representing the Triangle will be Jon Shain, FJ Ventre, and Rissi Palmer. Sam Frazier‘s music blends emotional and musical complexity with the heart of a rock-n-roller. Originally from Greensboro, he has opened for Eric Church, The Neville Brothers, and Craig Morgan. Laurelyn Dossett tells regional stories through songs she writes from her home in the Piedmont and has collaborated with Triad Stage to produce six musical productions. She also wrote the music for Mike Wiley’s recent production Leaving Eden, which premiered at PlayMakers in April 2018. Rissi Palmer is a Durham-based “Southern Soul” musician whose 2007 debut single “Country Girl” made her the first African-American woman to chart a country song since 1987. Jon Shain and FJ Ventre blend improvised Piedmont blues with bluegrass, swing, and ragtime. Congratulations to Jon, who was recently pronounced the winner of the solo/duo category at the 2019 International Blues Challenge in Memphis!